Family Fun Hobbies is gearing up for the Holidays and you don’t want to miss out! It’s time to pull out your calendar (paper or app) and mark some important dates down. Go ahead, go get them, we’ll wait. 1. Starting today, you and your loved ones can each fill out a Holiday Wish List for us to keep on file. You can do this by filling one out in the store or printing this one out and bringing it in. You will provide us a list of people who would like to come in and shop for you. We’ll contact them, and when they shop at Family Fun Hobbies from December 1 – 12, 2017 they’ll get 15% off everything listed on your Wish List! Seriously, this couldn’t be any easier. You are picking out what you want, you are encouraging friends and family to #shopsmall this season, and they can get it all done in one spot. It’s a win-win! Print this out and bring it in for us to keep on file for your friends and family! 2. Our World Famous Holiday Gift Envelopes are returning! We’ve done them every year since we opened, and you ask for them every year. Never fear, they are back again! 3. We are closed for Thanksgiving. 4. Black Friday we have normal hours, but keep your eye out for something special. You just never know, frankly we don’t know, but hey, it’s Black Friday. 5. Small Business Saturday is November 25th. Come #shopsmall at your favorite hobby store, visit with Santa from 6 to 8 pm for free pictures, join in our Board Game night that night and take advantage of our extra staff on hand to get help filling out your Holiday Wish List. 6. We are once again proud to be a Toys for Tots drop off location. Our box is already at the front of the store and is filling quickly. Bring in a new, unwrapped toy or buy something here and we’ll give you 20% on that item. Or round up your purchase at the register and we’ll buy/donate directly to Toys for Tots. Last year we donated 6 boxes of toys and over $680! We can do even better this year! 7. Holiday Vendor Boutique – Sunday November 26th Family Fun Hobbies is staying open late! From 7 to 9 PM come get some extra shopping done with us along with six Vendors, Christmas Music and more! 8. More things are coming, but the Holidays are all about surprises and gifts right? We aren’t going to spoil them all yet. Don’t go hunting for our “secret hiding spot” either, we don’t have one. It’s all locked in a vault which only we and Santa know the combination to, so save your energy and just keep checking back for more information to come! Finally, and most importantly, November 27th we are celebrating our 8th anniversary all thanks to each of you! Each day we are grateful for what we do and for the smiles you bring to our faces and hearts. Thank you for joining us on this amazing journey. 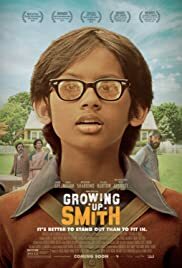 The Hamilton, NJ AMC will be one of a few theaters to Premier “Growing Up Smith” on Friday February 3rd! To help get the word out, the movie promoters have asked Family Fun Hobbies to hand out flyers and to GIVE AWAY SOME TICKETS!!! The tickets are FREE for you and available for the length of film run at the AMC. See below on how to win a pair! Click the picture to buy your own tickets! So are you wondering how to win a pair of tickets? Comment below why you think you should win a pair of tickets. You MUST enter by 9pm EST Monday, January 30th ! (You must live locally). Like our Facebook Page (in case for some odd reason you haven’t already) because we will be doing a Live Random Drawing for our Winner! (If you don’t use Facebook, never fear, we will announce our winner here after the drawing). See we told you it was easy! Update: This contest is now closed. Thanks for participating and enjoy the movie!